We strongly recommend our Electrum Light Wallet ! Often you ask us what wallet is the best for the person who infuses his/her fun with FuturoCoin. We strongly recommend our Electrum Light Wallet. Its installation and operation are effortless, and the transaction time is as fast as in the others. An additional advantage of this wallet is that it takes up a small amount of disk space. Win FTOs In Our New Competition! Are you a trader? Do you like challenges? Our new competition is just for you! Trade, join the battle, compete with other traders and win free coins! We know that many people have recently began their adventure with trading, so we would like to make things a little bit more interesting for them. 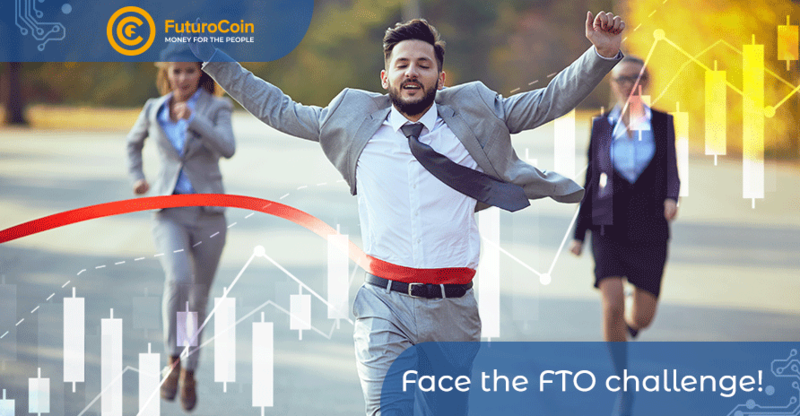 We are presenting our latest contest which allows you to win a significant amount of FTOs! If you want to enter our competition, first you need to register on CoinDeal exchange. Then you need to get fully verified as a user. It’s an easy process. And after doing that, you can take part in our competition! 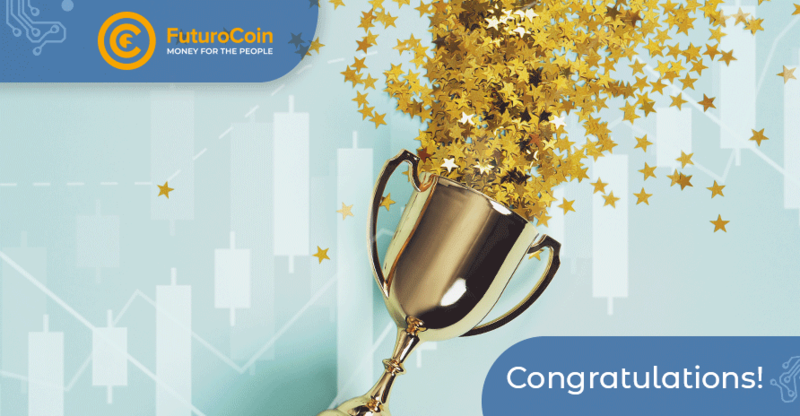 Results of the contest “Win Your Future! These are the participants of the competition who showed the highest level of knowledge and large deposits of creativity. 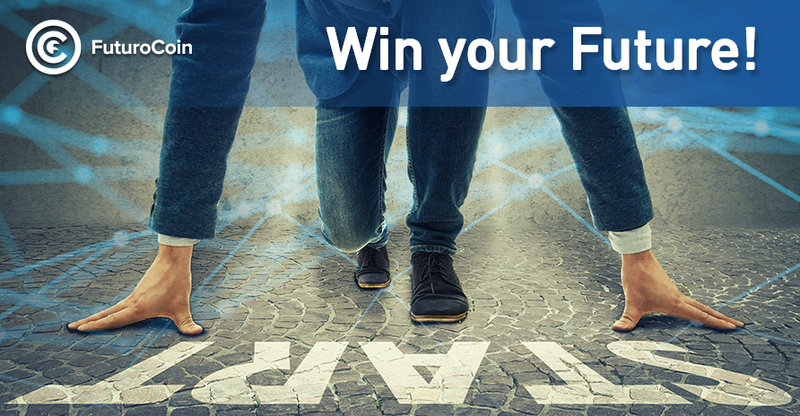 „Win your Future” – Enter The Competition! Have you ever wanted to own a cryptocurrency? Since you’re visiting FuturoCoin right now, we think yes. And now you have your chance! We are starting a competition which allows you to win FTO! In a simple quiz, you will test your knowledge about FuturoCoin and possibly win some coins. The quiz consists of 20 multiple choice questions, with four answers each. Only one of them is correct. The last question, number 21, is an open type task which will evaluate your creativity. It will also help us choose the winner if all the other answers are correct. E-currencies in South Korea will be able to expand at an even faster rate! 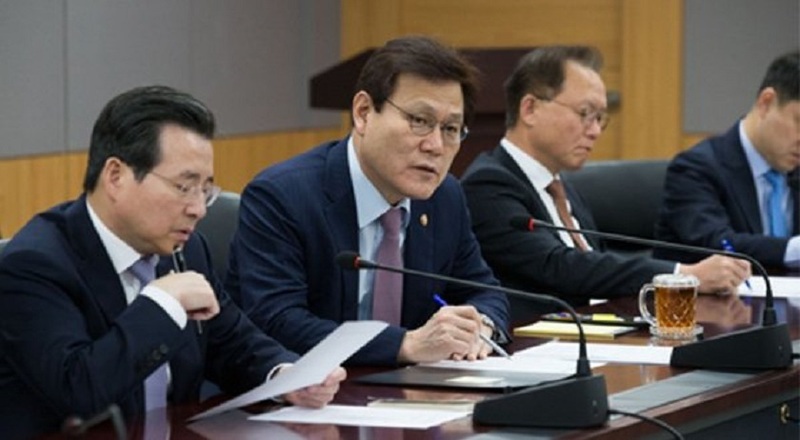 Choi Jong-Ku, commissioner of the Financial Services Commission of South Korea, has confirmed that there are no obstacles for national banks to provide their clients with virtual accounts that could be used on cryptocurrency exchange markets! Being part of the cryptocurrency world is a great responsibility. We don’t see it only as a means of delivering a fully functional and needed project, which is FuturoCoin, but also as participation in the development of the industry. What a great news! 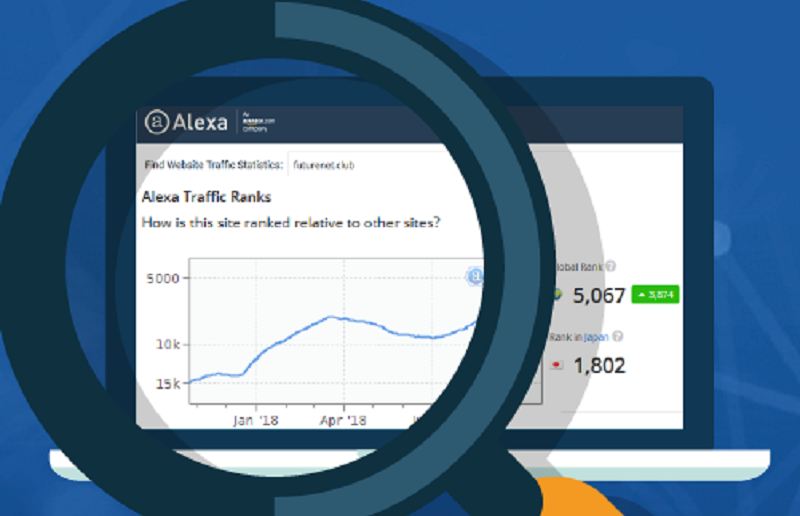 Anybody heard about Alexa Rank? It is a global and prestigious ranking of websites regarding the number of visits. What does this have to do with us? FutureNet website grew up to 5,000th out of 2,000,000,000 sites! This is amazing! We were there! 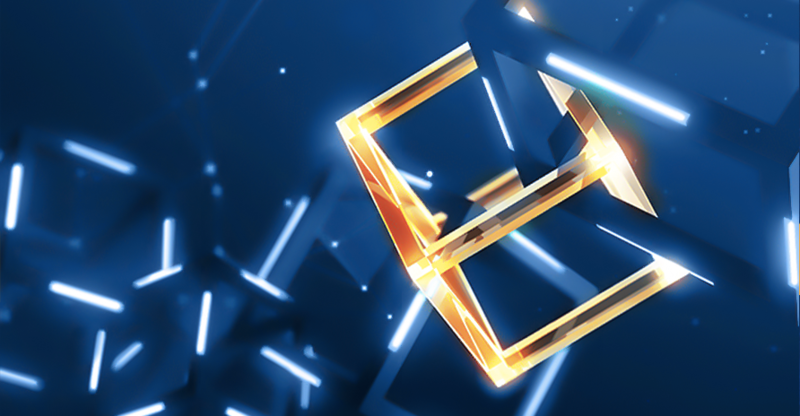 The largest blockchain peak in the world – World Blockchain Summit. 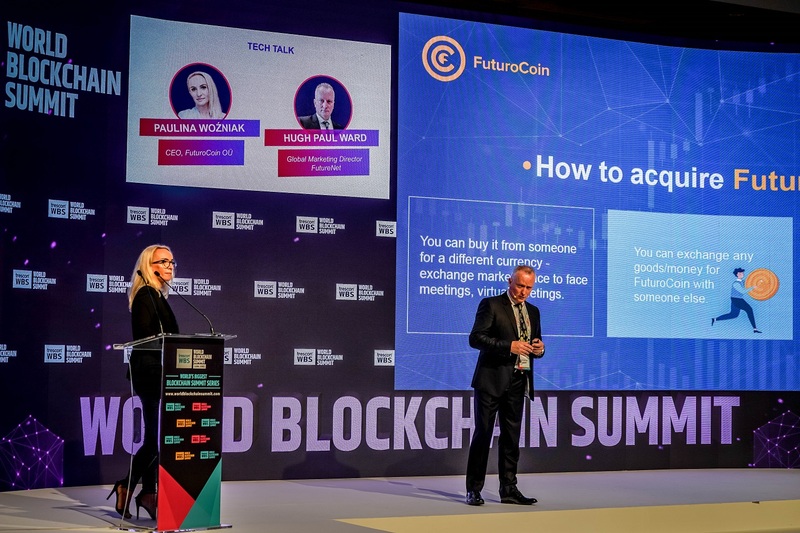 FuturoCoin CEO Paulina Woźniak and Hugh-Paul Ward (Global Marketing Director of FutureNet) performed in the fantastic Dubai.